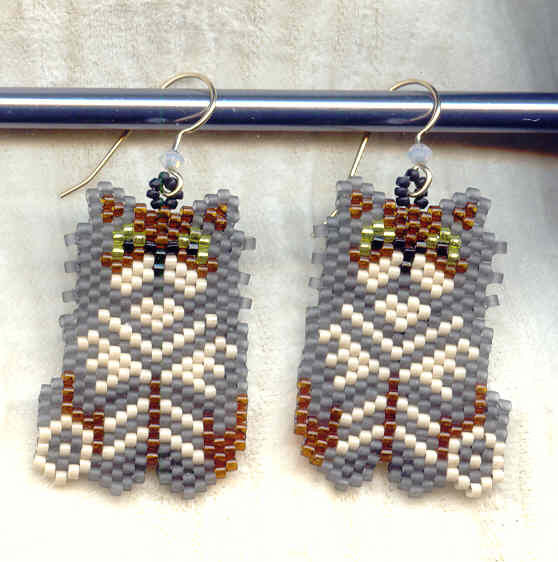 Worked in shades of chestnut, ivory and matte grey, these beaded earrings were inspired by my own cat, Clyde. See the second image to judge how well I've represented him. The beaded earrings are considerably lighter in weight than the original, and quite a bit smaller: they dangle a dainty 2" from the tops of their 14kt gold fill French hooks. They're a great gift for the lady who loves her cat(s). 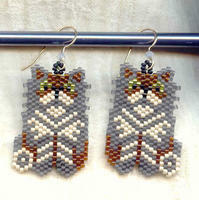 They're another great pair of beaded earrings from SPARKLE PLENTY.